It’s Thanksgiving Week! Everyone always asks – What are you thankful for? Instead of asking you, I thought I would tell you what the OFSC is thankful for. Being placed on the West Side of Asbury Park & serving the Greater Asbury Park Community. You are a great, welcoming and caring community. Constant Collaborations between the OFSC and our Family Members, the OFSC and the other Social Service Agencies and most importantly our Family Members helping other Family Members. My OFSC Team, who never ceases to amaze me and always has an abundance of great ideas to better serve the Greater Asbury Park Community. They believe in the Family Success Model and want it to work for you. They live our mission to strengthen and empower. WE BELIEVE HEALTHY FAMILIES BUILD HEALTHY COMMUNITIES!! 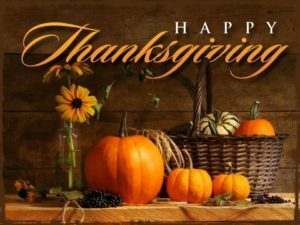 Enjoy your Thanksgiving with family, friends and loved ones.